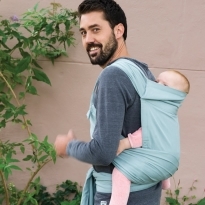 Babylonia are an amazing company that make fair trade and organic baby slings, carriers and wraps. Woven wrap, Mei Tai and ring sling. We love everything about this range of babywearing products, great colours, fabulous quality, organic materials and fair trade.